I’ve known about sportswear brand Sweaty Betty for a long time, but I had never bought anything from the brand until now. It was when I was doing some research on retail entrepreneurs that I came across Tamara Hill-Norton, the founder of Sweaty Betty and this led me to the website. Sweaty Betty sells comfortable, stylish clothing under the headings, ‘sweat’, ‘yoga’, ‘beach’ and ‘snow’ and works with the purpose to ‘inspire women to find empowerment through fitness’. 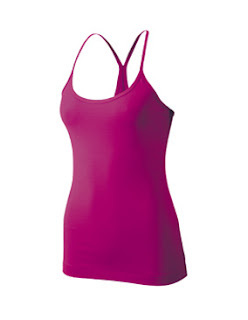 It is refreshing to find performance active wear without the big labels and logos. Indeed it was the story behind Tamara Hill-Norton and Sweaty Betty which really enamoured me to the brand, a brand started in the UK by a woman who knows what women want. Hill-Norton opened the first Sweaty Betty shop in 1998 in West London on a small budget, and by 2008 they had 24 shops. The business is still run by Hill-Norton and her husband. On my visit to the site I bought this ski jacket and the customer service was great. I’m going snowboarding for the first time next year and thought buying a jacket in the sale would be a good plan. Sure I may hate the snow and never go again, but if we have a winter like last year I’ll be very glad of my purchase! It’s an investment. I’m also a regular (reasonably) at the gym and will be snapping up the cute gym outfits as soon as I save some more cash. I’d like to say it doesn’t matter what you look like at the gym, but if you look good and feel comfortable, it’s sure to affect your performance, right?